If you’re looking for a piper—you’ve found the right one! Joining The Piano Guys onstage April 27! 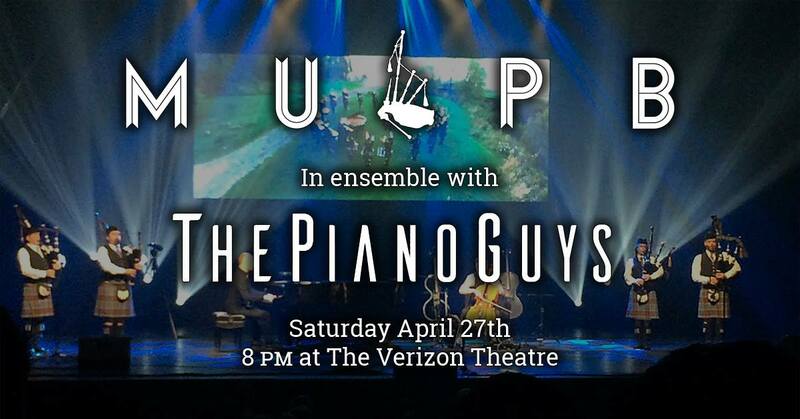 I am thrilled to announce that me and select members of Metroplex United Pipe Band will be joining The Piano Guys onstage at Verizon Theater in Grand Prairie on April 27! Details here! The pipe band had the chance to perform with these great musicians back in August 2018, but I had a prior Rathmore commitment. Not this time! Can’t wait!